Yoga workshops are a chance to work more deeply on your practice. They are usually longer than regular classes so you have time to explore postures in more detail and focus on specific teaching points. Please note that our yoga workshops are generally unsuitable if you’re menstruating. If you have an injury or medical condition, please consult the office or the yoga workshop teacher before booking. Lois Steinberg, one of the three most senior Iyengar yoga teachers in North America, is returning to Maida Vale this year to teach a one-off workshop. 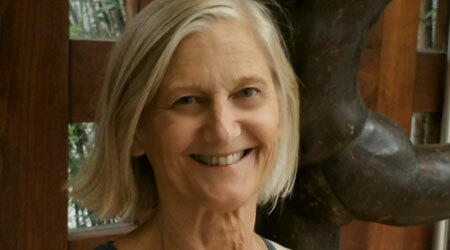 Lois Steinberg is an Advanced Junior 2 Certified Iyengar Yoga instructor with over 35 years of teaching experience. Her extensive study with the Iyengars includes annual participation in the general and medical classes at RIMYI and she is widely respected for her knowledge of Iyengar yoga therapeutics. She is Director of Iyengar Yoga Champaign Urbana in Central Illinois. Lynda Purvis has been a qualified Iyengar yoga teacher since 1990. Originally from New Zealand she arrived in the UK after a few years travelling in Asia and started attending yoga classes in London where she trained as a teacher. 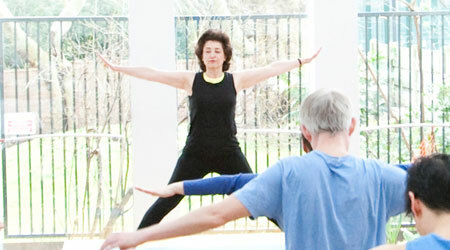 From 1999 until 2011 Lynda was the co-owner and director of Yogawest in Bristol. She has been to India on many occasions to attend intensive courses and general classes with the Iyengar family. Lynda now lives with her partner Gerry in Devon. This workshop will include asana, pranayama and chanting. If you are thinking of moving up from Beginners to General classes and have been attending classes for about two years, this workshop is for you. It will be well paced so that we will have time to look at the different types of poses, including a few taught in General classes, and work towards Sirsasana (headstand) – with out getting exhausted! There will be time to ask questions. We are delighted to welcome Firooza Ali back to IYMV. Taught by BKS Iyengar from a young age, Firooza is one of India’s most experienced Iyengar yoga teachers. 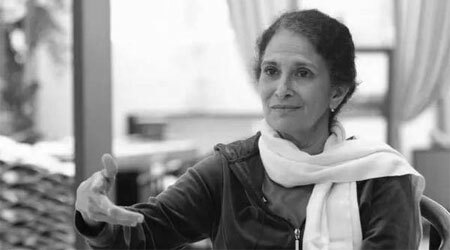 She has been teaching at the Light on Yoga Research Trust in Mumbai since it was founded in 1980. With a curiosity sparked by yoga, Firooza earned an MPhil in 1982 and has been teaching philosophy to undergraduates ever since. Her philosophical understanding informs her yoga teaching which explores the deep connection between the philosophy and practice of yoga. Pixie Lillas returns to Maida Vale this summer to run a series of classes and workshops. Pixie started practising Iyengar yoga in 1976 and has returned to Pune most years since 1977. 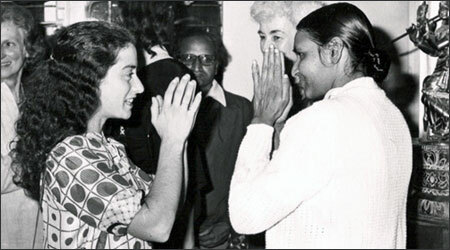 She opened the Balmain Iyengar Yoga Studio in 1980 and has been director and principal teacher there since. As well as offering her own teacher training courses she is closely involved with running the assessments for the BKS Iyengar Yoga Association of Australia and currently holds a Junior Advance Certificate. These are drop-in classes so no need to book. For certified Iyengar Yoga teachers and students with four or more years of regular Iyengar yoga practice. You should be able to maintain a strong head balance and shoulder stand for 5-10 minutes, and be familiar with the standard poses. For students with two or more years’ regular Iyengar yoga practice may attend this workshop. For students with four or more years of regular Iyengar yoga practice. You should be able to maintain a strong head balance and shoulder stand for 5-10 minutes, and be familiar with the standard poses. Booking opens two months before scheduled events. Pop-up classes are drop-in classes so no need to book.